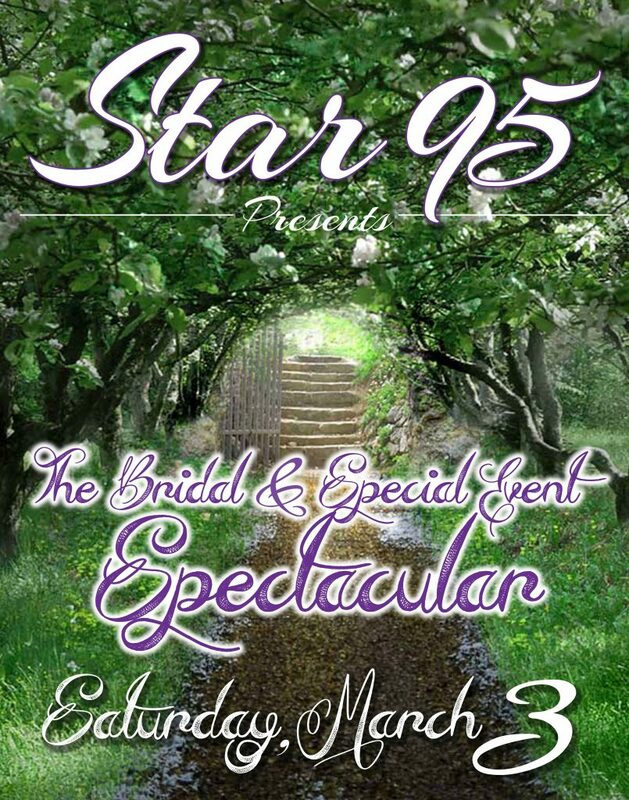 Star 95 is delighted to announce the 17th annual Bridal and Special Events Spectacular. This is an event that caters to those planning weddings, anniversaries, graduations, birthday celebrations, baby showers, proms, business and corporate events and reunions. The Star 95 Bridal and Special Event Spectacular has become a tradition that newly engaged couples have come to anticipate every year. It’s an opportunity for brides to see the latest fashions, find out the coming year’s new trends, and plan their weddings all in one day. Brides and couples will be on hand looking to make decisions on wedding venues, formal wear, music, photography, catering, flowers and much more. Their post wedding needs will include: homes and apartments, insurance, banking, cookware, furnishing, and many other necessities a new household creates. 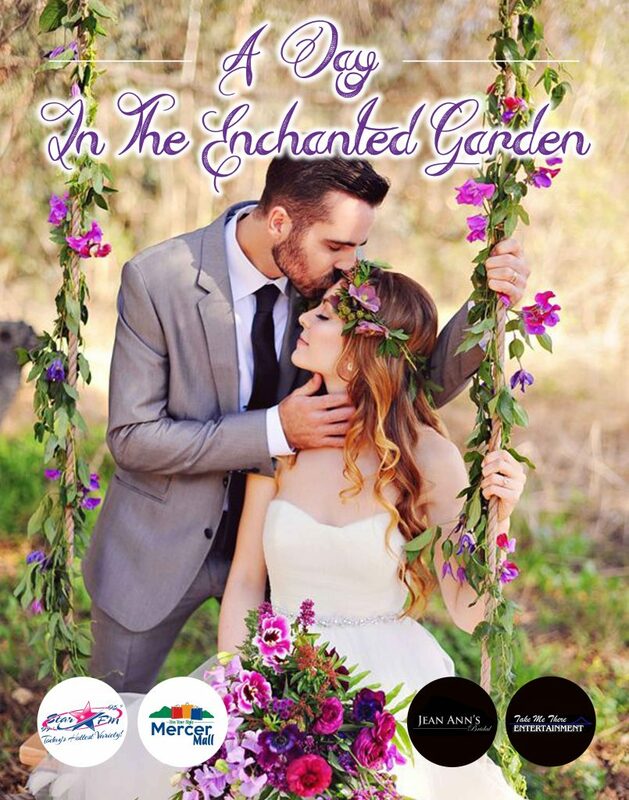 This year’s show will be “An Afternoon in the Enchanted Garden”. In addition, we will have different ways to ensure that our brides and guests visit each exhibitor. With that, we also ask that each vendor provide a door prize valued at $50 or more to giveaway at their booth and to participate in our vendor competition. Please decorate your booth according to the theme of “The Enchanted Garden” The vendor’s booth that is voted as the favorite by our guests will win a $500 advertising package from STAR 95. The overwhelming majority of participating vendors return year after year because they realize the benefit of reaching their target market at the time when decisions will be made. We invite you to participate in this effective Bridal and Special Events Spectacular. Don’t miss this valuable and cost-effective opportunity to advertise and meet members of your target audience face to face. We hope to add you to our network off exhibitors who find the Bridal and Special Events Spectacular an excellent investment that will be working for you for months to come. Spring will soon be in the air. Marriage will soon be in the hearts of many. The question is will your business be on their minds? The Star 95 Bridal and Special Events Spectacular has flourished year after year because of the tremendous value it offers to your customer and the vendors that serve them. The Star 95 Bridal and Special Events Spectacular is your guarantee they will be thinking of you! We invite you to join our team of the area’s finest wedding professionals for this year’s show!